Most of the times we end up with leftover rice at home. Mom used to make fried rice and we loved it. Sometimes, she would also knead the flour with leftover rice along with chopped onions, fresh coriander and make paranthas. This was definitely our favourite parantha recipe. 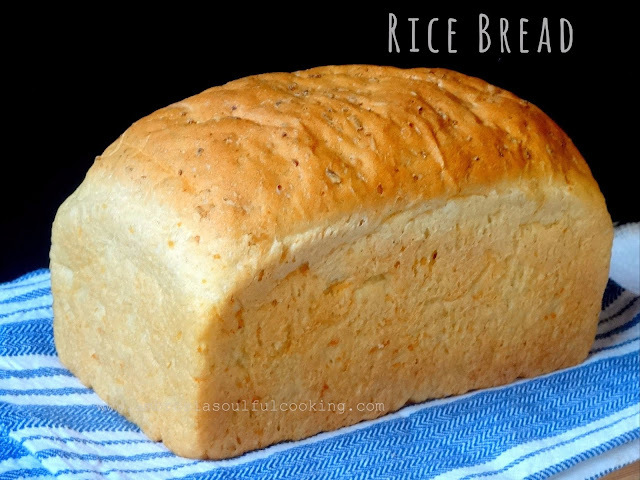 Whenever we have leftover rice, we generally bake a bread using all of it in the dough. 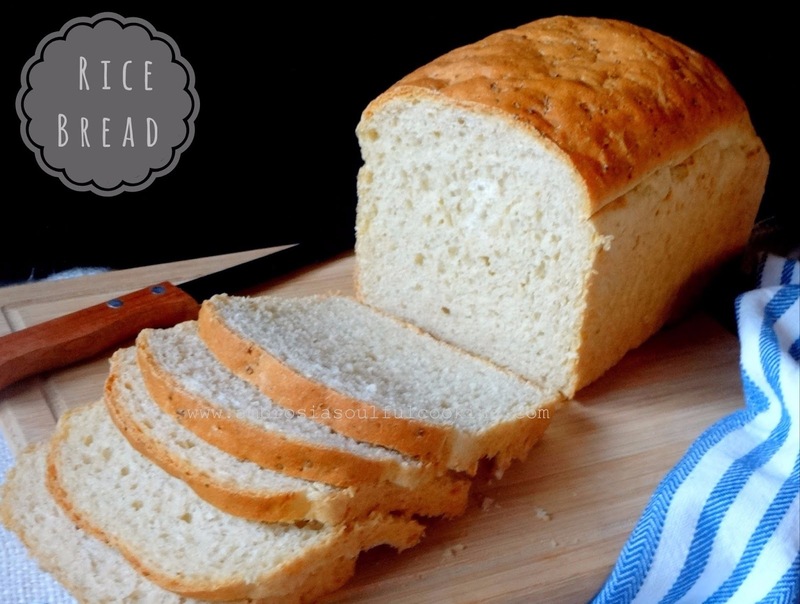 The bread comes out soft and spongy and is best eaten the same day. It is a great relief once the dinner is sorted. The evening was relaxing. We made masala chai and enjoyed the colourful autumn evening. 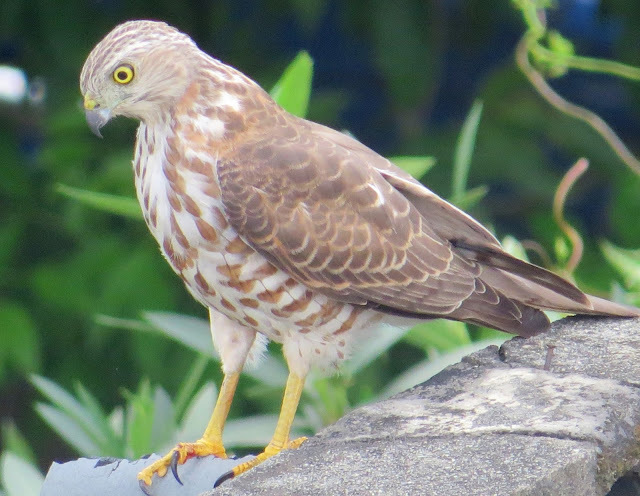 We spotted a Shikra on our terrace. Dinner was a soup and Rice Bread. We loved it and in the end, has a slice each with honey. In a large bowl, take flour, salt, and oil. Mix well. In another bowl, take water, sugar, and yeast. Mix, cover and keep for 10 minutes. It should turn frothy. Add rice and mix. Add wet ingredients to flour mix. Knead for 6-7 minutes till you get a smooth, slightly tacky dough. In the beginning, take slightly less than ¾ cup water for activating the yeast. While kneading keep adding water as needed. We don’t want a very sticky dough. Transfer the dough to a greased bowl and turn around once so that it is evenly coated with oil. Cover with a kitchen towel and keep in a warm place to rise for 1 hour or until double. Grease one 8 ½ x 4 ½ inch loaf pan. Transfer the risen dough onto a floured counter. With your fingers, flatten the dough into 8x10 inch rectangle. Tightly roll the dough, pinch and tuck the ends in. Place into the greased loaf pan. Bake in a preheated oven at 180 degrees C for 40-45 minutes. The top should turn golden brown and the pan should sound hollow when tapped. Hello,this looks interesting,I have some leftover rice in the fridge.will try this recipe.. Do you mash the rice or just add as is? I did not mash the rice. However, while kneading it got mashed a little. I baked this one, was good with jam.good way to use leftover rice. Hello Binu, Thank you for trying the recipe and the lovely feedback! That looks so nice! I didn't know rice could be used in that way. Yes, You may use wheat flour. Your bread will not rise much and might be a little dense. But it will be a healthy bread.